Hackers Can Steal Your ATM PIN from Your Smartwatch Or Fitness Tracker: Could wearing a fitness tracker or smartwatch make it easier for scammers to exploit your private PIN? That’s the conclusion of a shocking new study released this month. Wearable technology has become so commonplace these days — one wouldn’t automatically suspect their wrist to be the place where hackers or cyber criminals would strike next. 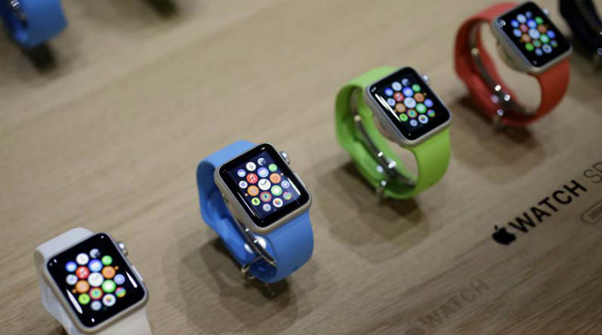 “Wearable devices can be exploited. Attackers can reproduce the trajectories of the user’s hand then recover secret key entries to ATM cash machines, electronic door locks, and keypad-controlled enterprise servers,” said Yan Wang, assistant professor at Binghamton University in the US. In the paper, “Friend or Foe? : Your Wearable Devices Reveal Your Personal Pin,” researchers from Binghamton University and the Stevens Institute of Technology described how, with the help of a computer algorithm, they used data collected by these devices to crack passwords, which they managed to do with 80% accuracy on the first try and more than 90% accuracy after three tries. Researchers team say their “Backward PIN-Sequence Inference” algorithm can be used to capture anything a person type on any keyboard – from automatic teller machine or ATM keypads to mobile keypads – through infected smartwatches, even if the person makes the slight hand movements while entering PINs. 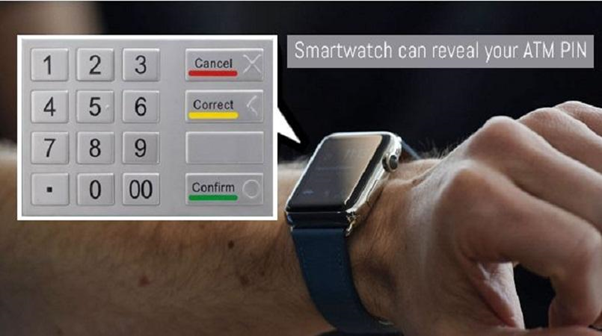 Over 11 months, the researchers performed 5,000 key-entry tests on three key-based security systems, including an ATM, while 20 adults wore a variety of devices, such as activity trackers and smartwatches. Typically, a hacker would need to install a video camera or fake keypad in order to uncover personal information, the researchers wrote. Although researchers did not give a solution for the problem but suggested that developers can “inject a certain type of noise to data so that it cannot be used to derive fine-grained hand movements, while still being effective for fitness tracking purposes such as activity recognition or step counts”. Another simple way is to not use smartwatch or sensor tracking gadgets while ongoing with financial transactions – or While entering your passwords or PINs always use only the hand that is not having a wearable device with the highly sophisticated motion tracker.